16 page sixth form prospectus with an inside back pocket. Contains outer special, soft matt laminated cover with embossing and metallic foil finishes for a tactile feel. 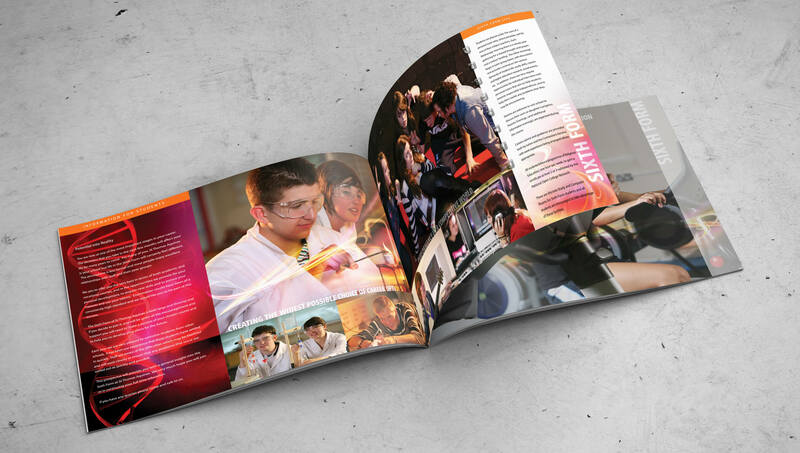 With the highest standards of creative photography, innovative design and through our thorough knowledge of print finishing techniques this sixth form brochure achieves the highest level of impact. We have been using the same printers for many years and have the utmost confidence of their reliability to produce excellent results every time and to meet very tight deadlines whenever necessary. A demonstration of a streamlined process starting with your objectives. Our mantra is ‘tell us what you want to achieve ’. 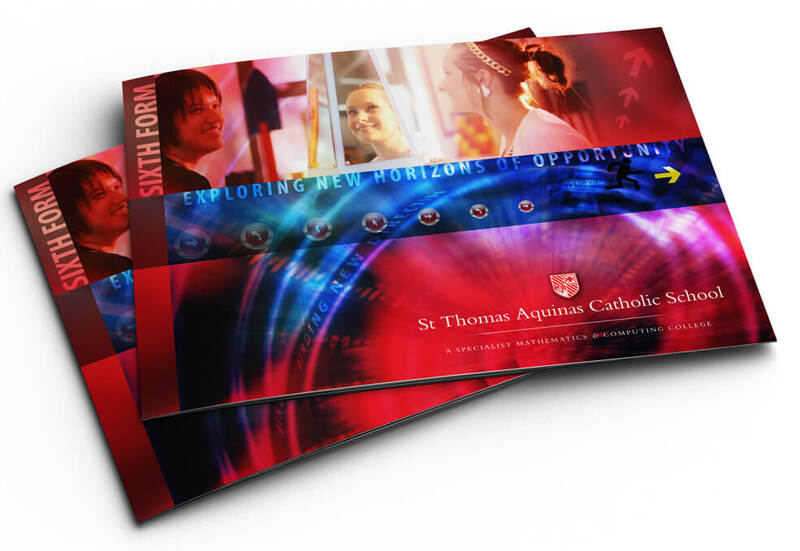 Once we have understood exactly what your ambitions are, we can plan in a strategic manner for the design and production of a prospectus or other complementary literature, which effectively communicates your essential messages in the most cost effective way. Layouts, visuals and ideas are presented, based on the project brief and only when approved do we move on to the next stages of photography and artwork. We also provide a copywriting service if required.